Making gluten-free Instant Pot mac & cheese is quick, easy, ooey-gooey, and delicious. I had a hard time finding a gluten-free mac and cheese recipe that pleased everyone in my family. The Instant Pot changed that! 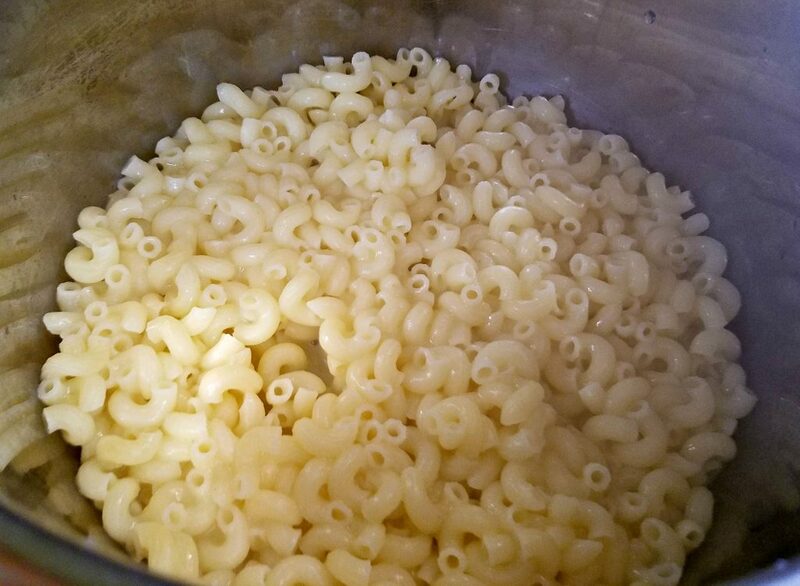 Making gluten-free mac in cheese takes about 10 minutes using the Instant Pot and the results are delicious. Everyone in my family loves this recipe, score! 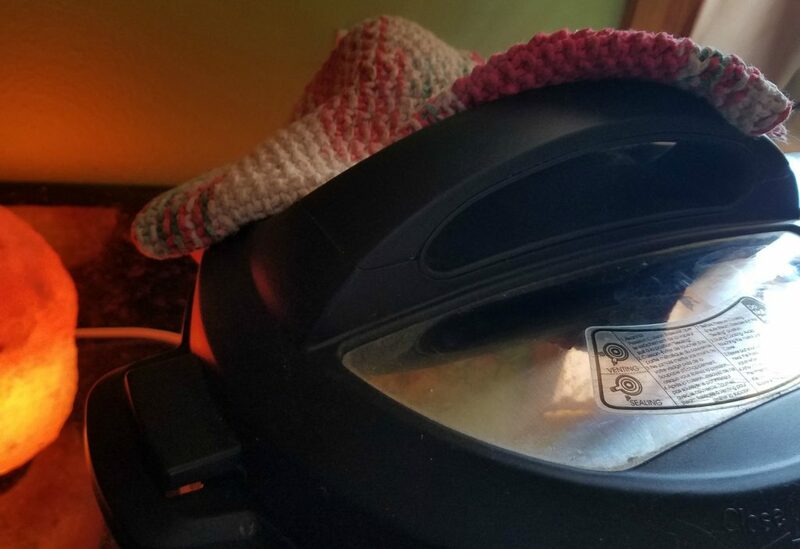 Making gluten-free mac and cheese in the Instant Pot is easy. Let’s talk ingredients. You probably already have them in your kitchen. First up you need noodles. For this recipe I used Muellers gluten-free elbows. Aldi (I LOVE Aldi) has a brown rice and quinoa organic AND gluten-free rotini that we really like to use as well. Next, you need cheese. I use a cheddar colby blend, it makes a mild mac and cheese that my kids love. If it was just for me I would use sharp cheddar and maybe a little parmesan. The options are endless when it comes to cheese! Finally you will need milk. You can use any milk that you prefer. I have used almond milk and evaporated milk. The mac and cheese is the creamiest when I use evaporated milk, but is still yummy with almond milk. Additionally, you need yellow mustard, butter, salt, and pepper. 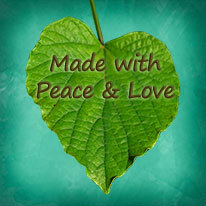 You will find a printable recipe at the bottom of this page. Add to your Instant Pot bowl 8 ounces of uncooked gluten-free noodles, 2 cups of water, 1 tablespoon of butter, 1 teaspoon of salt, 1 teaspoon of pepper, and 1 teaspoon of yellow mustard. This recipe doubles well and the cooking time stays the same. 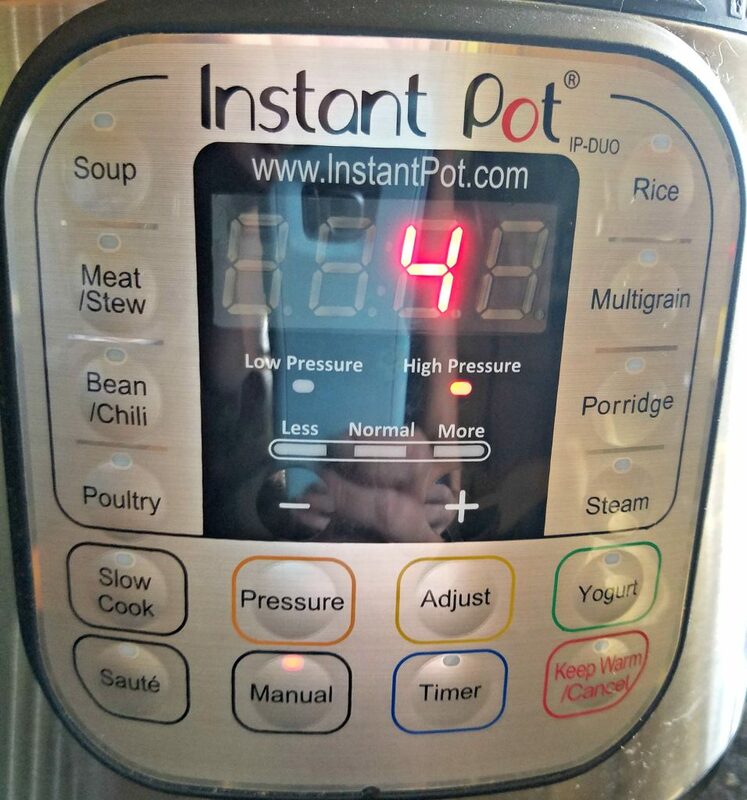 Set the Instant Pot to manual high pressure for 4 minutes. Make sure your valve is closed! So often I start a dish in the pot and later realize I left the darn valve open. Once the pot beeps telling you time is up turn the pot off and perform a quick pressure release. I like to cover my valve with a dish towel. Once the pressure is released open the lid. You will find perfectly cooked noodles inside. Add the 6 ounces of milk and 8 ounces of cheese then stir it all together. There you go! You now have ooey-gooey delicious gluten-free Instant Pot mac & cheese. To see more of my Instant Pot recipes please click here. To see a list of all of my recipes please click here. 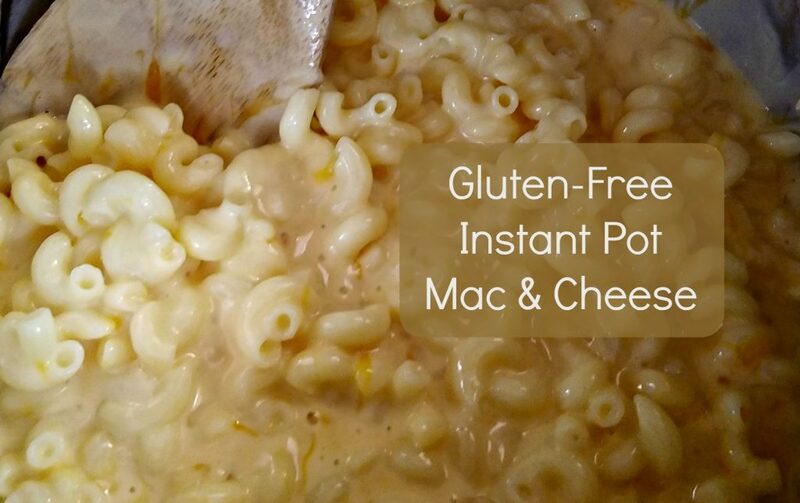 This is a delicious and easy to make gluten-free mac and cheese recipe using the Instant Pot. 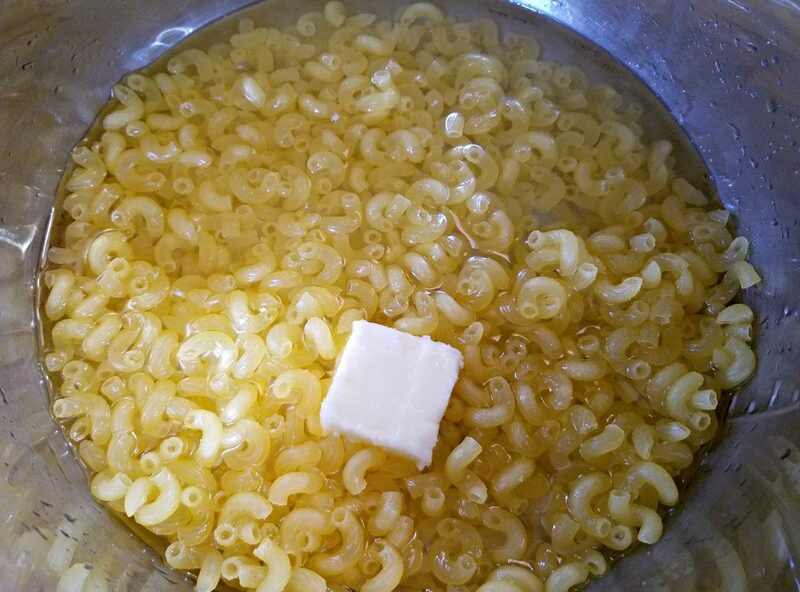 Stir the macaroni, butter, mustard, , salt, and water in the Instant pot. When the cooking time is done, quick release the pressure and remove the lid. Add the milk and cheese. Your Mac and Cheese looks so good, we love Mac and Cheese! Thanks so much for sharing your awesome recipe with us at Full Plate Thursday. Hope you are having a great week and come back to see us real soon! I used Market Pantry gf elbows which are 12 oz. so I took 1 1/2 of the ingredients and it still worked perfectly. Even my nongluten free husband and son loved it. Thanks sharing this recipe. I have rice penne which is larger than elbow, should I increase cooking time? It doesn’t say to drain the pasta. I have never done gluten free so I didn’t and it is very watery. Did I do it wrong? I didn’t drain the pasta and it worked great. I did give it a stir right after it finished cooking and most of the residual water was absorbed. I don’t drain the pasta either, I do exactly what you did! Is the mustard dry powder kind or prepared one from the jar?